1. NO CHARGE: At Chabad we don't charge membership or for High Holiday seats. Just come and feel at home! Everyone is a member :) Please RSVP by calling or emailing so that we can prepare properly (see info below). 2. TAILORED FOR YOU: At Chabad, the services are geared for Jews from all backgrounds. We have Hebrew/English Prayer Books with select transliteration. We pray parts in Hebrew and parts in English. 3. 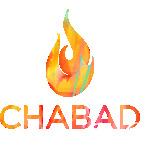 WELCOMING: At Chabad, we have a non-judgemental, and warm environment. Expect to feel comfortable and welcomed. 4. GET TO KNOW US: We would love to meet you! If you have not met Rabbi Paltiel yet, feel free to approach him any time after the services to introduce yourself. 5. THANK YOU: We are solely funded from local contributions. Please consider making a donation in the amount that you are comfortable with. Please click here to RSVP for services so that we can prepare appropriately.